The Your Birth Experience™ (YBE) Doula Training and Certification Program is experiential, comprehensive, holistic training that encompasses education, mentorship and mastery in emotional intelligence, personal growth, birth and postpartum doula skills, childbirth education, lactation education, new parent education, as well as entrepreneurship. The YBE Doula Retreat is open to doulas trained by other organizations who wish to further their knowledge, as an advanced doula training; however, if you wish to become a YBE Doula, you must enroll in the YBE Childbirth Educator Training. One of the most important elements of doula work is in understanding what empathy is and how to practice it. While doulas offer physical, emotional and informational support to childbearing families, empathy is the umbrella that encompasses those skills. This is complex and requires both intellectual and emotional intelligence, as well as a commitment to personal growth by identifying weaknesses, and maximizing strengths. At YBE, we believe pregnancy, birth and early parenting are inextricably linked. YBE doulas are exceptional guides for the families they serve because they have an understanding of all aspects of the parenting journey, and receive training and mentorship in both birth and postpartum doula skills. Since informational support is a crucial skill associated with doula support, YBE doulas are also childbirth educators. While not all YBE Doulas will choose to offer childbirth classes separately from their doula services, they will receive training, mentorship and certification as childbirth educators. This way, they not only have the knowledge their clients seek, but they have the ability to communicate and transmit that information in a relatable way. YBE Childbirth Educators are trained in pregnancy, childbirth, lactation, postpartum care and newborn care. Whether doulas choose solo practice or work with an agency, they will need to have a basic understanding of entrepreneurship. This is necessary to engage in advocacy work to raise awareness about the benefits of doula support on a broad scale, as well as in attracting and retaining clients. 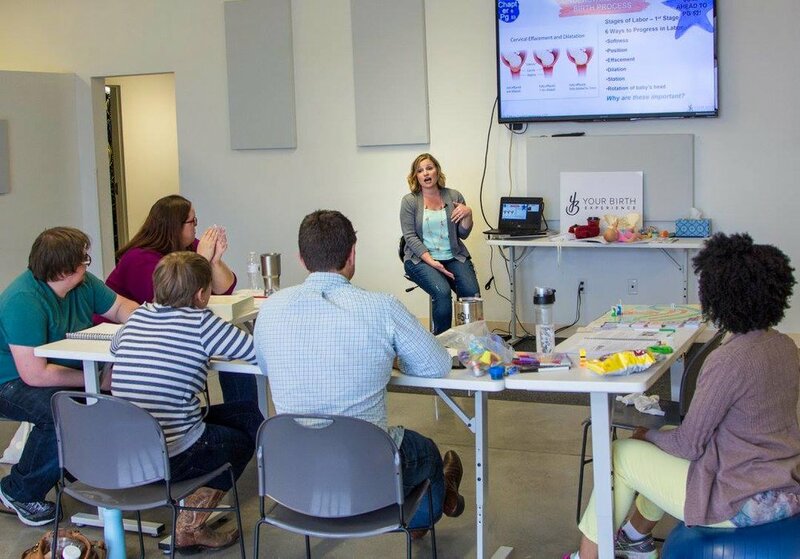 YBE Doula Training includes the Business Essentials curriculum and on-going entrepreneurial mentorship through exclusive online communities and mailing lists. The YBE Doula Training program involves online training in our YBE Childbirth Educator and YBE Equip programs, followed up by an in person doula training retreat. This is an intensive, experiential 3 day training. The course includes a combination of lecture, group activities, guest speakers, panel discussions, self-reflection, field trips and physical challenges designed to foster community and personal growth. You gain exposure to and physically practice the skills you need as a professional doula. The YBE Doula Retreat is open to doulas trained by other organizations who wish to further their knowledge, as an advanced doula training; however, if you wish to become a YBE Doula, you must enroll in the YBE Childbirth Educator Training. An open mind, heart, and attitude - This training requires that you get real, get vulnerable and get to the heart of what it means to be a doula. Personal items you will need to take care of yourself during the retreat such as necessary bedding, clothing, toiletries, towels. Something that represents YOU - Ever been asked "What do you bring to the table?" Well, we will create a table that represents us, our hearts, our backgrounds and worldview, our calling to this work. Bring a small but meaningful item for this table that represents YOU. 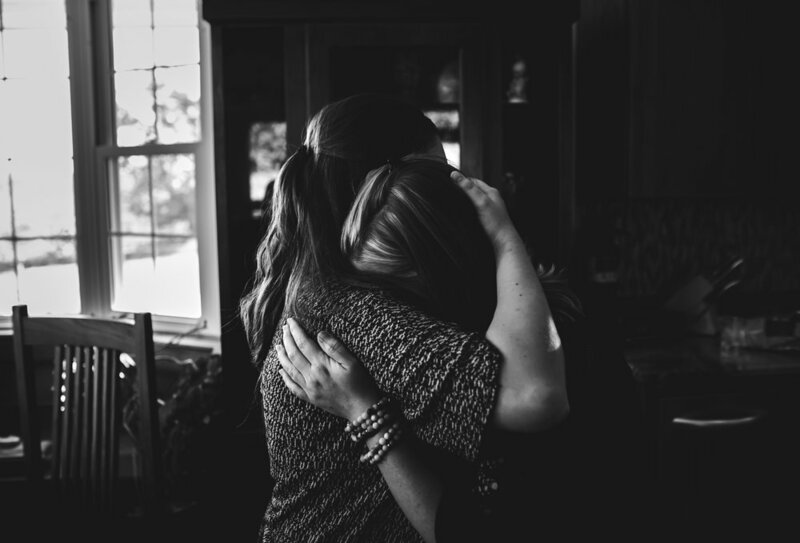 Something to give - During the Doula Blessing ceremony at the end of the week, you will have the opportunity to pass along a part of you to another doula. Bring something that you already own that has significant meaning to you, but that you are ready to part with that will be a gift for another doula. Pre-requisite: Read Birth: The Surprising History of How We are Born by Tina Cassidy and Birth Ambassadors by Christine H. Morton and Elayne Clift, complete required essays and bring with you to the retreat. Pre-requiste (YBE Doula Candidates Only): Enroll in and complete online YBE Childbirth Educator modules prior to retreat. Attendance and participation in all 3 days of training, including field trips and physical challenges. We will practice "challenge by choice," and all physical activities can be modified to meet any physical needs or limitations of participants. Completion of YBE Doula Certification Packet (contents detailed below) within one year of the last day of your training. 6 month extensions can be purchased for $50 in the YBE Store. Teach 3 YBE Childbirth Classes and submit 1 student evaluation and 1 self-reflection for each. Attend 3 births and submit 1 client evaluation and 1 self-reflection for each. Complete 3 postpartum doula services (minimum 4 hours each) and submit 1 client evaluation and 1 self-reflection each. Submit a Community Resource List as outlined in Certification Packet. Submit a Personal Resource List as outlined in Certification Packet. Complete and submit proof of certification in Bloodborne Pathogens, Standard First Aid and CPR. Complete final coaching call with your trainer to review packet. Trainees will read each of the following and complete a short essay as outlined in the YBE Doula Certification Packet. Upon enrolling in YBE Doula Training, participants will receive training, travel and certification instructions. It's highly recommended that you read this books in order of appearance as listed. Emotional Intelligence - Daniel Goldman, Ph.D.
A Good Birth: Finding the Positive and Profound in Your Birth Experience - Anne Drapkin Lyerly, M.D. Your Medical Mind: How to Decide What's Right for You - Jerome Groopman, M.D. and Barbara Hartzband, M.D. Healthy Sleep Habits, Happy Child: A Step-by-Step Program for a Good Night's Sleep pages 1-163- Marc Weissbluth, M.D.